From the positive reviews and airplay of Transfer's new album, Future Selves the show was sold out two days prior. If you missed this one, you should be feeling bummed. It is shows like this one that make me energized about music in San Diego. This show had everything: sweat, lights, good friends rocking the stage and hanging out, new bands I never heard of blowing my mind, and incredible performances all the way around. Talking to a few of my musician friends about going to this show, I was explicitly told not to miss the first band. It was pretty much an order. I had to be there front and center when the show began. In their first ever performance, Hong Kong took the stage. I mean they took the stage. This well-dressed, three-piece band energized the crowd with their instrumentals of something between 70s soul and 50s surf rock. Many commented that it would be their soundtrack of choice if they were the star of a film, walking down the streets of downtown or along the railroad tracks of California. I wish I could direct you to when and where they are playing next, but since there seems to be another band in this world with the same name, they are pretty much impossible to search for. Hint: you may want to consider another name. The only time I have seen Wirepony, the next band on the bill, was at a solo show at Lestat's. NOT AT ALL the same. Patrick Dennis (from the Truckee Brothers and other projects) has put together an awesome line-up for this band. On lead guitar is his son, Aaron Dennis (from Tan Sister Radio). O is on bass (from Fluf, Reeve Oliver, and many other bands past, present, and future) and Charlie McCree on drums (from bands fromerly known as Hatchet Brothers and Momma/Vertibird). Incredible talent separately, but together they have audible power that could trigger a revolution. Their energy and passion for the music prevented me from taking quality photos. Look at that, I'm blaming the band for my poor photography skills. The only time I could get a good photo of Aaron was while he was tuning. The high level of emotion and energy did not stop there. Oh no. 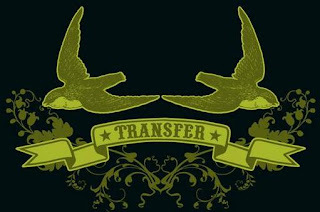 Transfer stormed through their set filling the room with heart drenching resonance. Waves of unassailable harmonies drifted through the air into the minds of the crowd causing them to lurch and shake. Their live performances can never be duplicated. Although great, both albums (Future Selves and Sunken Eyes) do not compare to seeing them in person. With the sold out crowd and awesome tour lined up, I imagine that seeing them play at the Casbah and smaller venues may be a rarer thing in the near future. Catch them while you can. A perfect ending to a perfect night, Transfer played "Sinking Sailing"/"Sailing Ships" a song that lifted my head out of the musty room onto the waters off the coast and happens to be my favorite of all of their songs. Thank you all for an amazing night.